I have been known to sneak odd ingredients into foods….black beans in brownies, or cashews in “cheese” cake, or even cauliflower in mac n’ cheese. Today, my magic trick is with chocolate….bananas….coconut…and…. wait for it…. avocados….in a pie. What? yes…. It can’t be done you say…CHALLENGE ACCEPTED. Stay with me on this one, people. I was skeptical too. 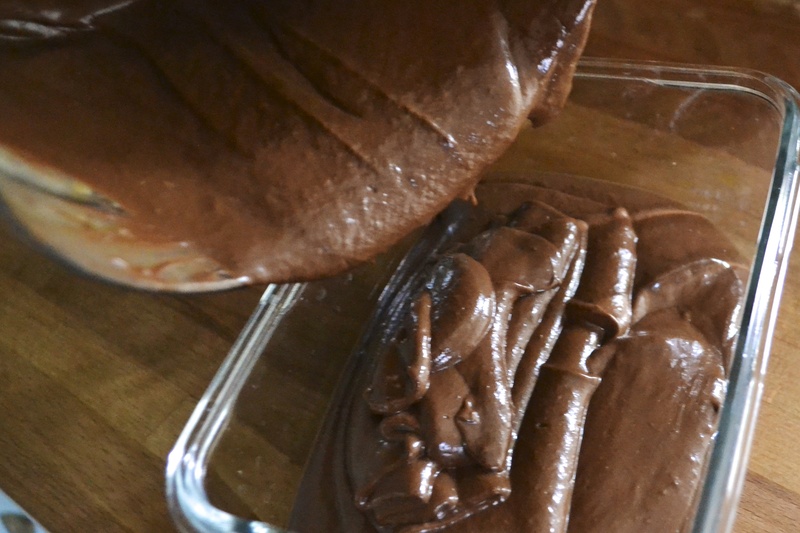 There are several avocado chocolate mouse/pudding recipes out there in the vast blogosphere. After reading many of these odd recipes, I decided to give it a go and put it into a pie form. Because everyone needs a good pie every once and a while….or two. I pureed two avocados with coconut milk, ripe bananas, soaked dates, a smidge of agave nectar, and some good cocoa. The pudding filling was so silky and creamy and rich….you would think there was a load of butter and cream in this fabulous pie….but no, just the magical avocado. To keep it grain free, but still giving it TONS of flavor, I concocted a coconut macaroon crust. Swoooooon! So good. The macaroon crust recipe is a keeper. 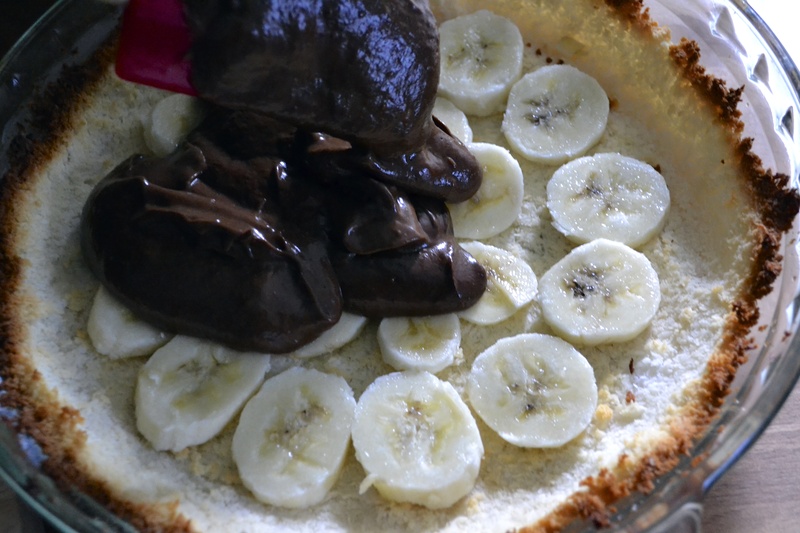 Chocolate + banana is a match made in heaven to me. Nothing gets better. So I added sliced bo-naners in the base of the pie. I imagine these would be awesome as small tartlets, using a muffin tin instead of an entire pie. Go surprise your taste buds. 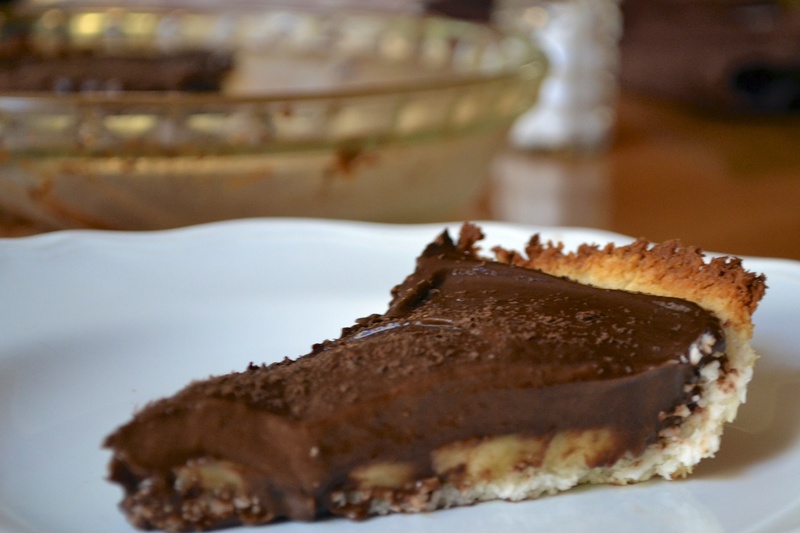 Throw together this pie and you never have to feel guilty…. You are welcome! Preheat oven to 350 F. Spray a 9″ pie pan with nonstick spray or coconut oil. Set aside. Place all ingredients into your food processor. Pulse until combined. Mixture should hold together when you squeeze it between your fingers. Don’t process for too long or you will end up with a coconut butter-type puree. Dump the coconut mixture into the prepared pie pan. 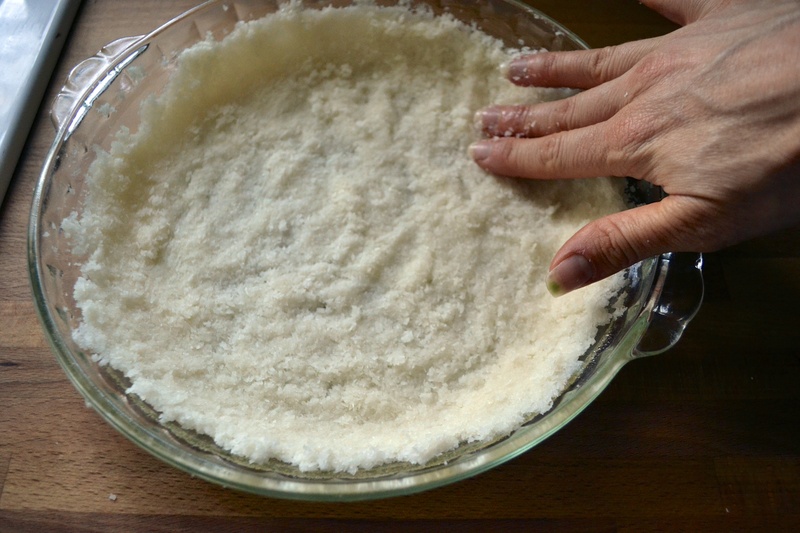 Press out the mixture evenly into the bottom of the pie pan to about an 1/8-inch to 1/4-inch thick. Bake in preheated oven until lightly browned, 15 to 20 minutes. Remove from oven and allow to cool to room temperature. 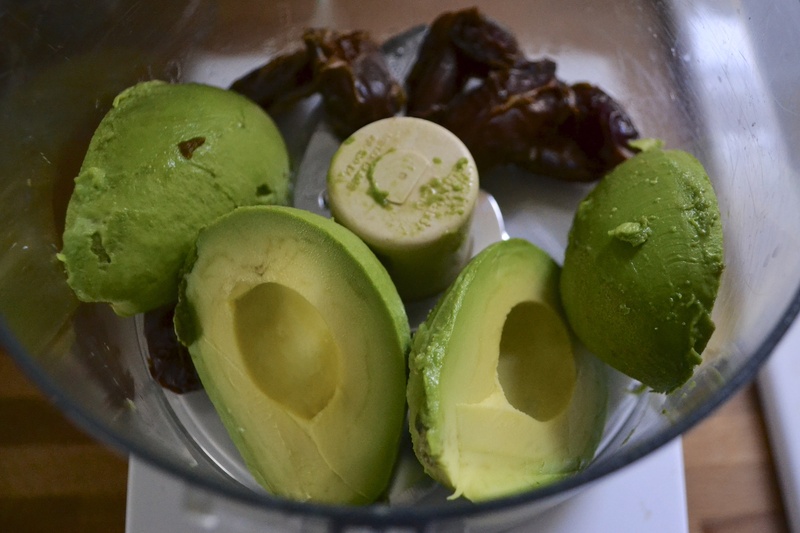 Place soaked dates, avocados, one of the bananas, and the coconut milk in a good food processor. Blend until smooth. Add cocoa powder, salt, vanilla extract, and honey. Blend until smooth. 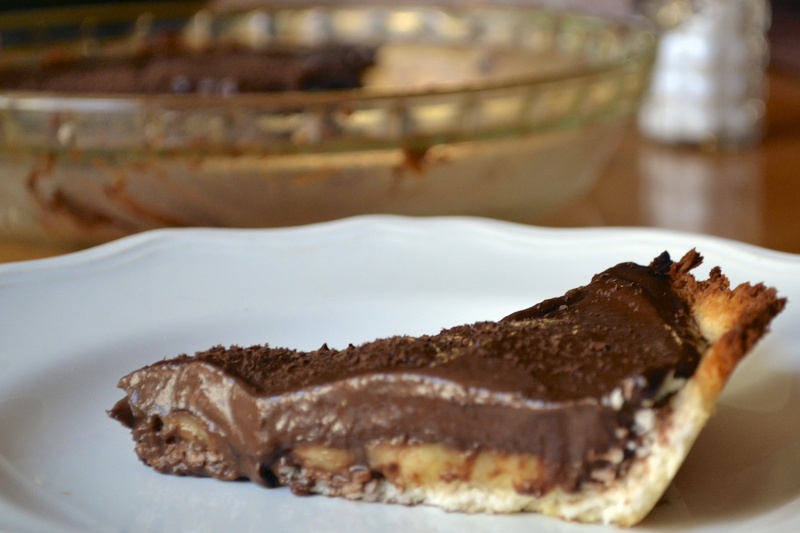 Once the crust is cooled and filling is made, layer slices of the remaining banana in the bottom of the pie crust. Add chocolate filling and spread with a spatula to smooth. Optional toppings include flaked unsweetened coconut or dark chocolate shavings. Refrigerate pie for a few hours until cool and set up. Serves 8 to 10. Oh, Alissa, this pie! I looove your desserts! I’m not such a banana lover, but I can’t wait to try this pie with strawberry or raspberries! Ooooh! That would be delicious too. I made this today and it is amazing…and kids and hubby approved, too! Thanks for the recipe! Awesome! I’m so glad they loved it. This is one of my favorites!! !